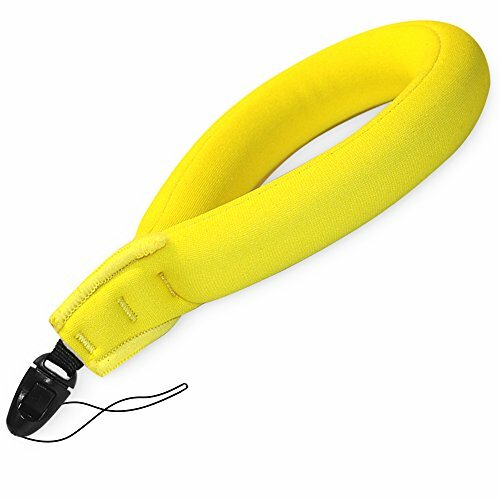 TETHYS Bouyance Waterproof Float StrapWristbands is perfect lanyard length makes it easy to take photos and easy to spot in the water from far away with the bright yellow color in case you drop it. This Bouyance camera float is an essential accessory for your expensive electronic device and also works with TETHYS waterproof case pouch for smartphone. Bouyance float camera strap protects your waterproof camera from sinking while you are snorkeling or swimming. 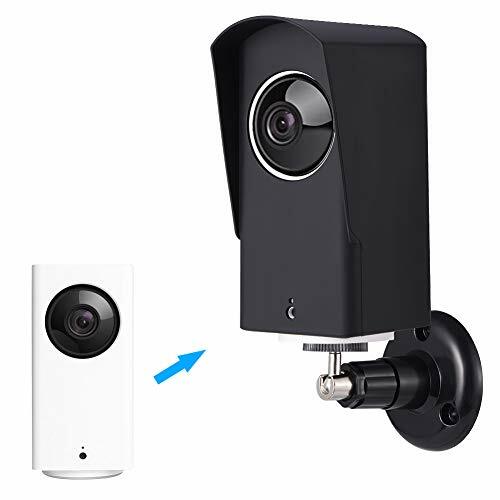 Never worry about losing your camear or keys! The camera float strap is brightly colored allowing easy retrieval in the dark or underwater. Protection - Bouyance floating camera wrist strap protects your waterproof camera from sinking while you are snorkeling or swimming. High Visibility - Never worry about losing your camear or keys! The camera float strap is brightly colored allowing easy retrieval in the dark or underwater. Durable Material - Made from soft, durable material that easily slips onto your wrist and providing a secure, stylish solution for carrying your waterproof devices. Multi-function - Perfect lanyard length makes it easy to take photos and easy to spot in the water from far away with the bright yellow color in case you drop it. This Bouyance camera float is an essential accessory for your expensive electronic device and also works with TETHYS waterproof case pouch for Smartphone. 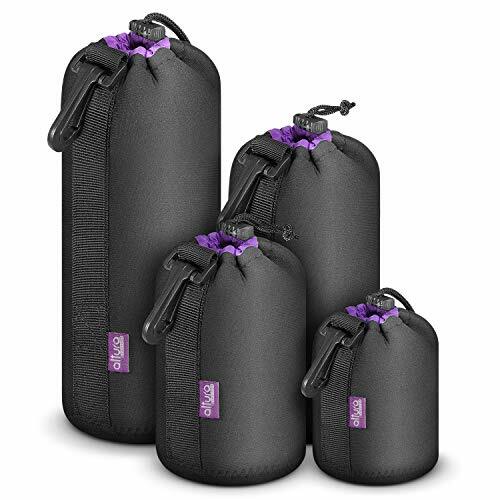 This 4-pack includes all 4 sizes of the Altura Photo Neoprene Lens Pouches. These are the highest quality lens pouches on the market. Altura Photo is the only brand that produces lens pouches with super soft interior lining, 5mm extra thick padded bottom, and water resistant neoprene exterior with clips. Although our competitors try to copy our look, none meet our standards of construction quality and functionality. - Thick pliable neoprene body protects your lens from moisture, sand, dust, dirt, and accidental impact. - Soft faux fur lining for a unique style, and protection against scratches. - Strong drawstring pull tab keeps your lens from shifting out, and makes accessing your gear fast and easy. - Reinforced belt loop and snap and swivel clip provides a convenient and secure way to transport your gear outside of your case. 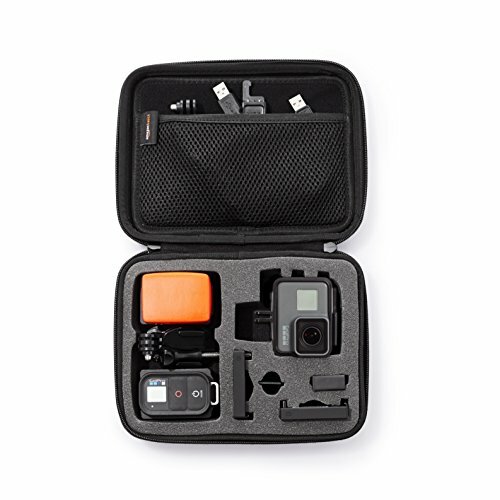 This Medium Camera/Video Padded Carrying Case is perfect for cameras and small camcorders. Microfiber Lens/LCD Screen Cleaning Cloth. - Durable all-metal clasp secures strap to the mounting base plate. - Adjustable strap length with soft non-slip ergonomic shoulder pad. 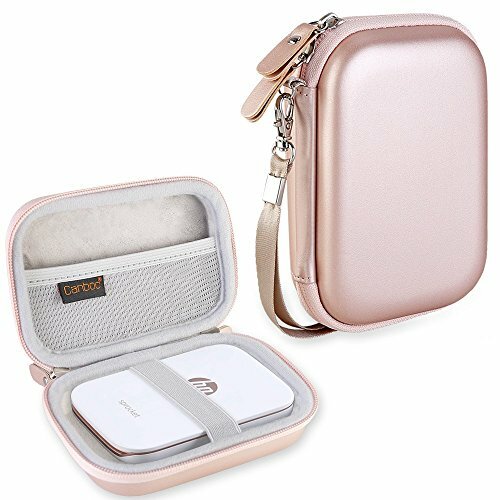 - Zippered accessory pocket allows you to store small accessories for quick access. - New and reinforced extra strong metal mounting screw with anti-slip rubber pad for a secure fit. 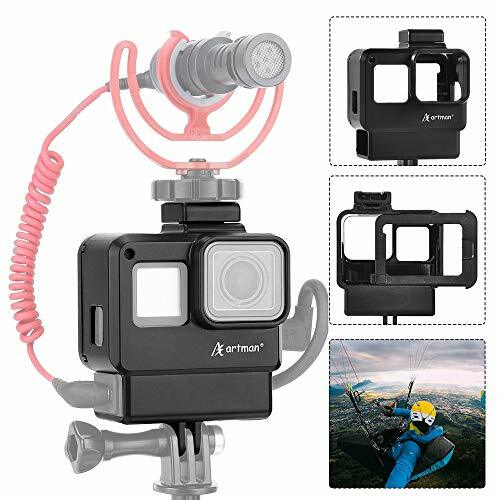 - The included strong camera safety tether provides a backup connection point between your camera and strap for additional security. - Attach your camera to a tripod without having to remove the mounting base. - Designed for DSLR, mirrorless, and compact system cameras with a standard 1/4 tripod mount. ADJUSTABLE PADDED DIVIDERS: Main compartment has sturdy, padded, adjustable dividers. Holds DSLR cameras with a standard zoom lens. QUICK ACCESS SIDE OPENING: Main compartment has convenient zippered side opening. PADDED SLING STRAP ROTATES TO FRONT: The comfort sling design allows for quick rotation from the back to the front of your body, giving you easy and fast access to your gear. ACCESSORY STORAGE: Top compartment allows you to fit extra lenses or flash units. Exterior tripod/monopod holder. Zippered mesh pockets in both compartments. 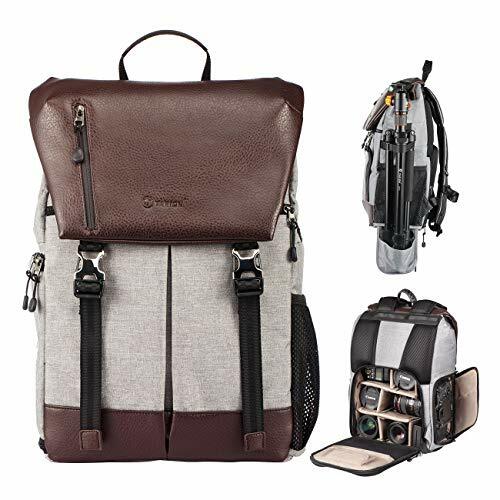 Innovative Convertible Design - Endurax DSLR camera backpack has an innovative drawer-like lower compartment with a build-in camera shoulder bag which can be used separately; the main camera backpack can be easily converted to a daily use 15.6" laptop backpack. 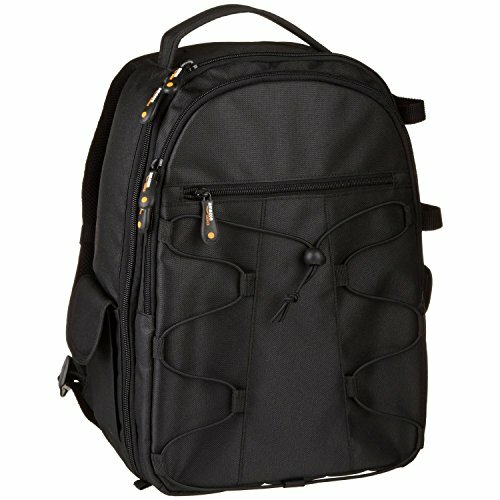 Easy Organization - Dual Compartments design made Endurax DSLR backpack easy to organize, upper compartment designed with 3 mesh pockets to fit clothes or any photography accessories; lower compartment fits whole photography gears and fit most of digital cameras like Canon Nikon Fujifilm Olympus Sony Panasonic. 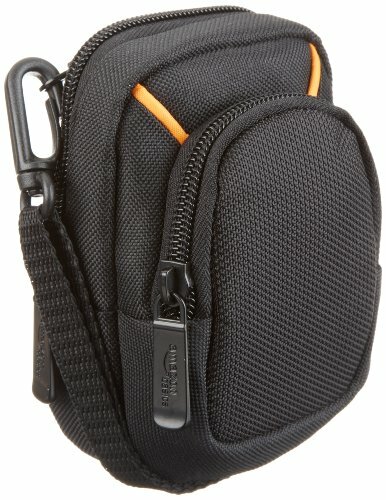 Practical for Shooting & Light Weight - Camera messenger bag equipped with customizible dividers to fit 1 camera, 2 lenses, 1 flash, with mesh pockets to place batteries, cards and cables etc. 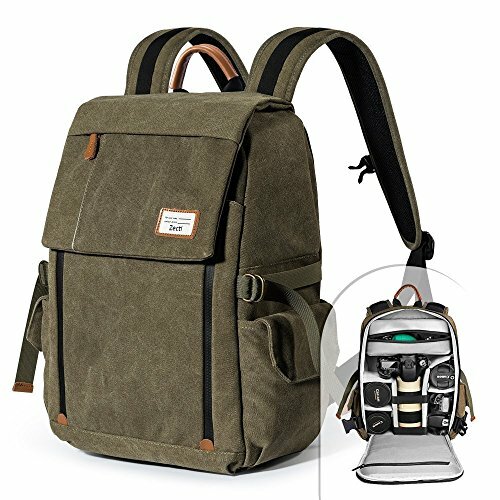 Small camera backpack very roomy but light weight(just weight 1.3kg), equipped with 15.6 inch laptop compartment, tripod strap, 4A folder compartment, ipad pockets and tons of accessory pocket. Build to Last - Made from high-density water resistant polyester material and premium PU leather, Endurax waterproof camera backpack is built with durability and resiliency for rugged use. 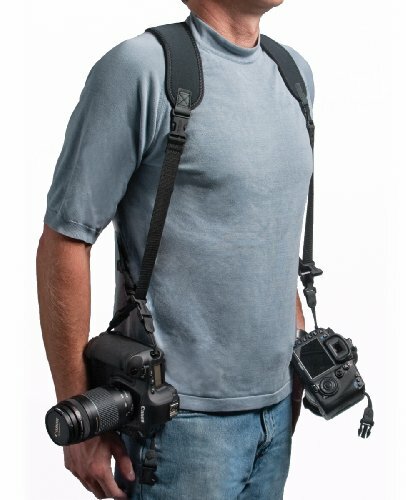 Great choice for any on-the-go photographer. 30 Days Free Of Retun, 1 Year Warranty, 100% Satisfaction Guarantee. Please note that Endurax camera backpack has been upgraded since March 9th, 2019, details listed in below detail description. More features than you'll know what to do with! Heavy-duty buckles , handles and zippers make for long lasting use in any condition. The durable high-quality nylon and fabric construction is reinforced with thick padding to always protects your device. Padded shoulder straps and back also provide comfort and allow air to flow. 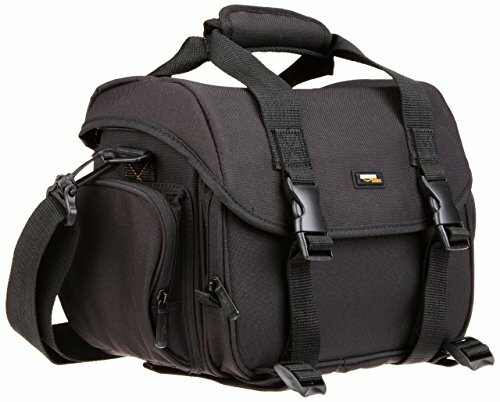 Large front zipper opening provides access to your camera, lenses and more. Velcro divider walls lets you customize the camera compartment and accommodate your equipment however you prefer. Two quick-access side doors allow you to grab your camera and lenses quickly, so you don't miss a shot. THE PERFECT AMOUNT OF SPACE FOR YOUR CAMERA GEAR - Ditch the boxy, bulky packs. The S17 offers plenty of room for the serious photographer as well as the enthusiast without an oversized form factor. 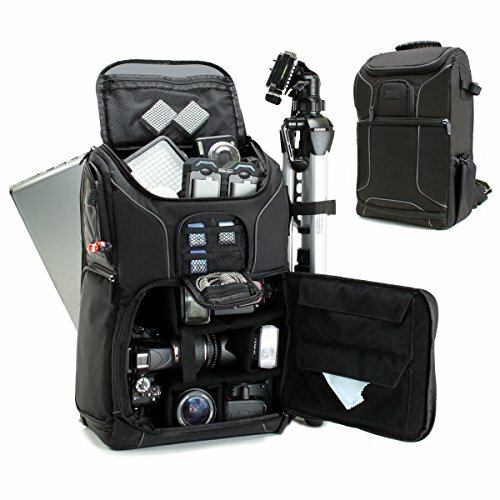 1.High Capacity Can hold and protect 2 dslr cameras+3 or 5 lens+2 speedlights+1 Tablet/ipad+1 tripod etc. Quick Release Side Access Compartment & Multiple pouches for easy access. Shock-Proof: Inner lining with thick EPE Protective Padding. 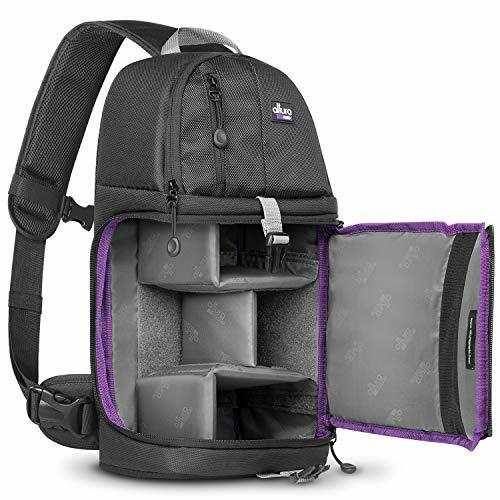 Large Capacity: Dedicated Camera & Laptop Space with padded Dividers; Hold up to 5 lenses or 2 DSLR cameras with 3 lenses at once. 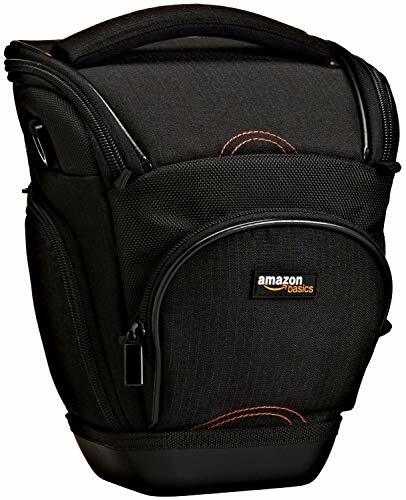 Back-Support: Ergonomic Camera Backpack with Air Mesh Padding for Back & Shoulder Straps. Weather, Dust & Scratch Proof Camera Bag, Raincover included. * Back opening structure provide better security for your expensive photography equipment. Capacity: 3 * DSLR + 4 * Lens + camera accessories + bottle+laptop+tripod etc. Removable pad divider in the camera backpack provide flexible and large capacity for all your necessities for outdoor photography ( 3XDSLR, 4xlens, Laptop<13 inch, daily trivals, tripod and etc.) and can be used a laptop backpack. 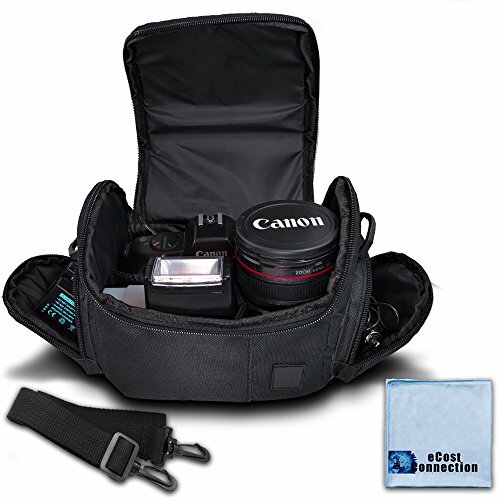 Flexible to convert the canvas photography bag into leisure travel bag by just taking out the liner box to storing your various daily objects such as clothes, cellphones, snacks and other necessities. 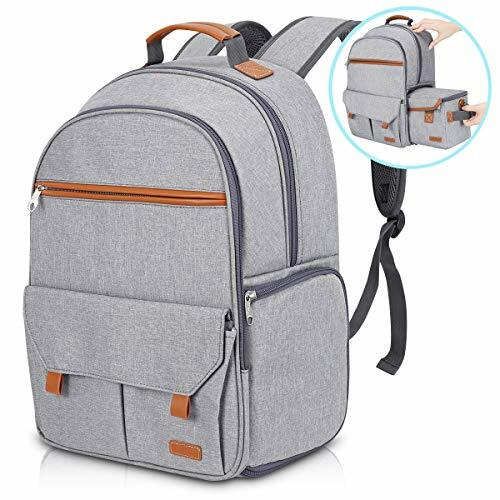 The high-density waterproof canvas backpack which comes with a rain cover, you will never worry about rains , damages, dust and scratches on your photography equipment. Zecti dslr bag is ideal for various professional photography aims which need different kinds of cameras and lens,such as outdoor hiking photography, street snap, scenic snapshots,etc. What You Get: Zecti Camera backpack, Rain Cover. Our worry-free 18-month warranty and 24 Hours friendly customer service. With the OP/TECH USA system connectors, The camera/binocular owner has several connection options. You can buy an extra set of connectors to customize the strap to best suit your needs. Straps can be lengthened to be worn across the chest or shortened to be worn at chest level. Another feature of the system connectors is the small carrying handle created when the quick disconnects are latched together. 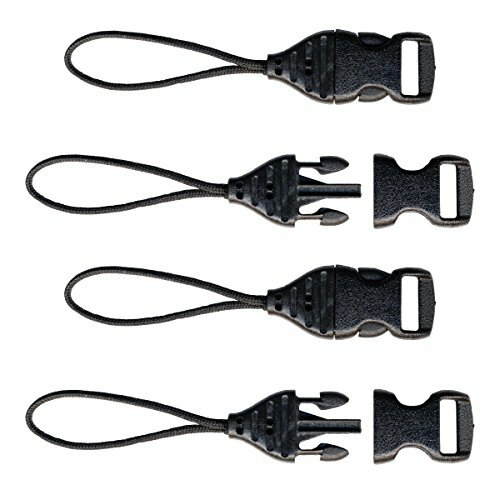 The utility loop system Connector allows a Camera to be attached to a strap with swivel hooks. The utility loop system Connector is available in sets of two. Adds only 3 in length to the attachment system of your choice. Fits a tight connection area with a loop of 1/4 tubular nylon webbing. With the OP/TECH USA system connectors, The camera or binocular owner has several connection options. Mini QD loops allow users to easily fasten small cameras to many OP/TECH USA neck and wrist straps and also quickly switch between straps. They incorporate a thin cord loop for tight camera strap connection areas and 3/8" Quick disconnects for easy attachment to a strap. They are approximately 2. 5" (6, 4cm) in length when attached to a camera. Mini QD loops are available in sets of four. mini QD loops are small but mighty and perfect for compact cameras! Each one has a tensile strength of 44lbs which far exceeds the demands of a compact camera. how to attach Mini QD loops: thread small cord loop through connection point on camera. Thread Mini quick disconnect through opening of loop. Pull Mini quick disconnect to tighten knot. Specially designed for Gopro Vlog. Perfectly Solve Gopro Microphone Adapter Putting Problem. Add Your Microphone on it to Improve the Audio Picking. 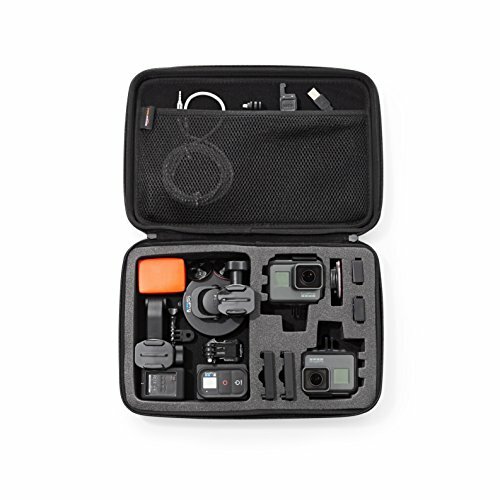 Simple & Lightweight It's very easy to mount your GoPro and store the mic adapter professionally, no extra steps to mount your gopro, very easy to carry for travel. With the OP/TECH USA system connectors, The camera/binocular owner has several connection options. 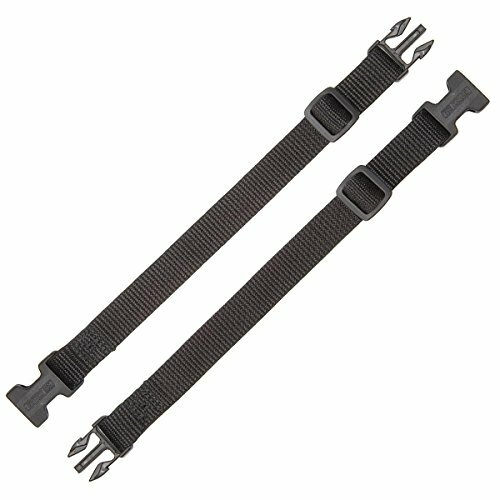 You can buy an extra set of connectors to customize the strap to best suit your needs. Straps can be lengthened to be worn across the chest or shortened to be worn at chest level. Another feature of the system connectors is the small carrying handle created when the quick disconnects are latched together. 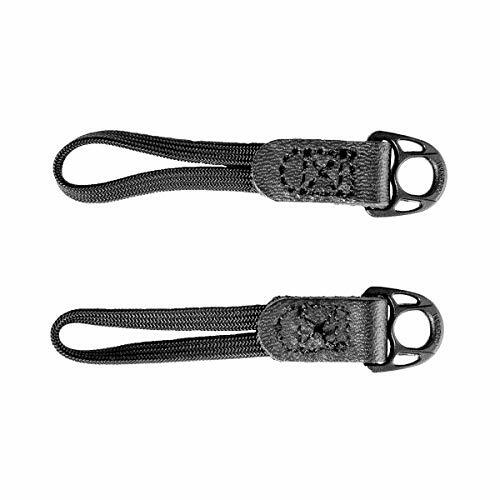 The extension connectors allow photographers to add an extra length to each side of an OP/TECH USA strap. The quick disconnects snap into place in an instant to modify the length of a strap. They also work great with Uni-Loop connectors for a creating a standard-length strap. They can be removed just as quickly to allow for complete flexibility in carrying options. Extensions are available in pairs and in two sizes: regular (7. 5" To 11") and X-Long (10. 5" To 16"). The "no frills" approach to a comfortable and functional neck strap is what OP/TECH USA offers in the E-Z Comfort Strap. 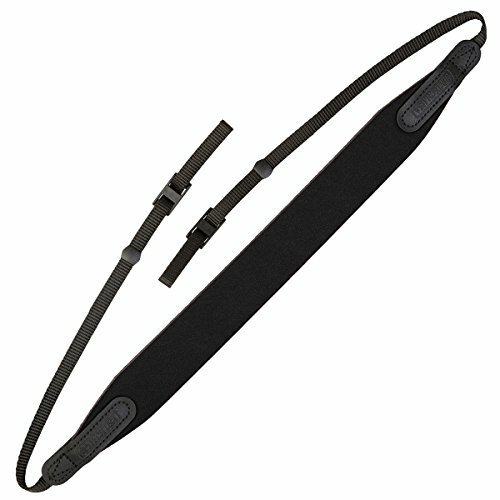 The slim design and easy-to-use connection system make this a great strap for binoculars and cameras. It combines high quality neoprene, top grade leather and 3/8" (9,5mm) webbing to give you a simple, yet comfortable strap. Getting down to basics without sacrificing quality is what the E-Z Comfort Strap is all about. 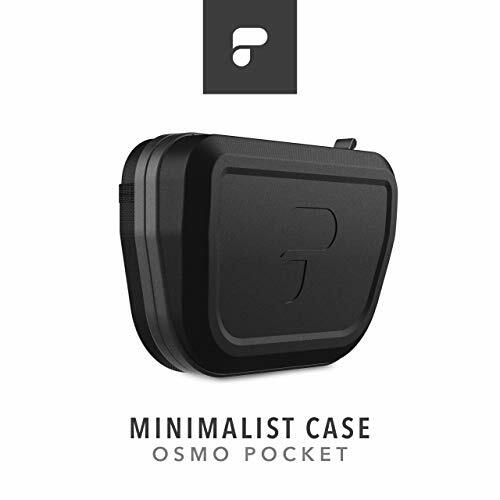 A secure case that stays true to the compact Osmo Pocket size and shape. Equipped with both an internal and external mesh pocket, each ideal for additional Osmo Pocket attachments. Inside are custom designed foam cutouts for the Osmo Pocket, the Wifi Adapter, and two spots for the Lightning and USB-C smartphone adapters to keep everything insulated and in place. On the outside, a sleek protective design with rugged zipper and carabiner loop to secure quickly when on the go. 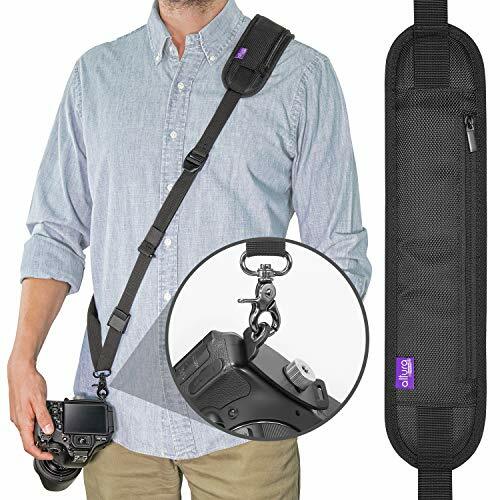 The world's first camera hand strap that is quick-connecting and quick-adjusting. Clutch gives you access to your camera's controls but quickly cinches down when you need security. Hypalon exterior, microfiber pad, and aluminum adjuster hardware is ultra-durable and inspired by high-end climbing gear. Attaches to your camera at 2 points: your camera strap mount (via a reinforced Hypalon loop) and your camera tripod mount (via our low-profile aluminum Anchor Mount hardware). Clutch can be used alongside other Peak Design straps, as well as the Capture Camera Clip.